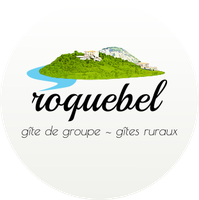 By using the form you agree to receive our newsletter, about 10 emails for Roquebel Gites per year. It's the best way for us to keep in touch and tell you what's new. You can, of course, unsubscribe, whenever you wish. Don't forget to give us your name, telephone number and email address when you write. Looking forward to seeing you soon! From Valence, about 80 km. Go through Crest, Die, and 14 kilometres from Die on the D93, you arrive at the village of Recoubeau. The Gites de Roquebel are at the outside of the village on your left. From Gap, again about 80 km. You take the direction of Die, and after the village of Luc en Diois you’ll arrive at Recoubeau. The Gites de Roquebel are at the entrance of the village on your right. From Grenoble, about 95 km, through the Vercors you’ll take the A51, then the D1035, and after the col de Menée, you’ll go through Châtillon-en-Diois and then to Recoubeau.